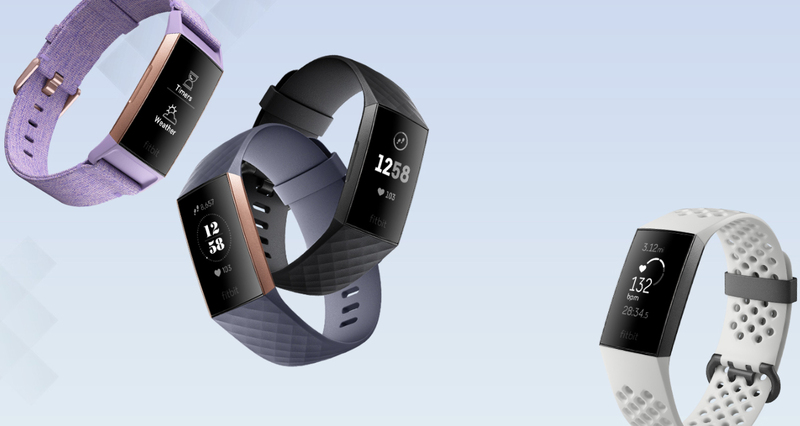 Fitbit Charge 3 reveals insights about your body, your fitness and everything in between - because the better you know yourself, the better you can be. Connect Charge 3 with your phone's GPS to see pace and distance on screen during outdoor runs and rides. Get call, calendar, text and smartphone app alerts. Plus, send quick replies to messages – coming soon to Android only. Add your cards to the Fitbit app, then use Fitbit Pay to make easy, secure payments on-the-go. 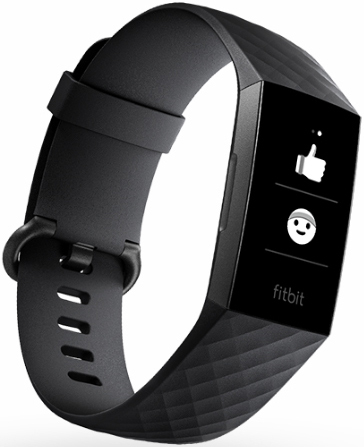 24/7 Heart Rate - Use 24/7 heart rate to better track calorie burn, optimise workouts and uncover health trends. 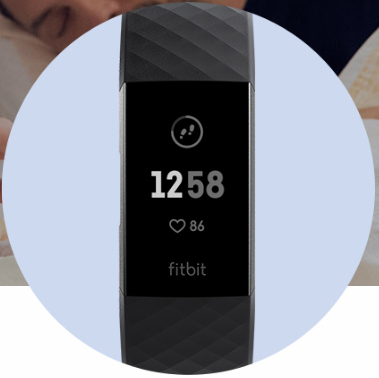 Heart Rate Zones - Use real-time heart rate zones to see whether you’re in the Fat Burn, Cardio or Peak zone and use what you learn to know the impact of your workouts. All-day Calorie Burn - Know how many calories you’re burning throughout the day and during workouts and use what you learn to stay on track towards your goals. Up To 7-day Battery Life - Enjoy a battery life of up to 7 days and access insights and inspiration all day and night. 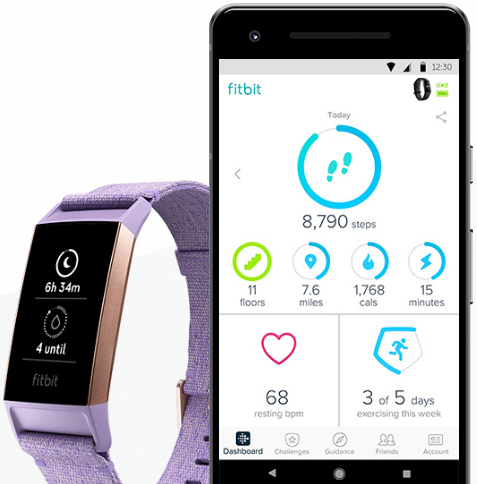 Goal-based Exercises - Choose from over 15 exercise modes like run, bike, swim, yoga, circuit training and more, set goals and get real-time stats. Automatic Exercise Recognition - Charge 3 automatically recognises exercises like runs, swims, elliptical, sports and more and records them in the Fitbit app. 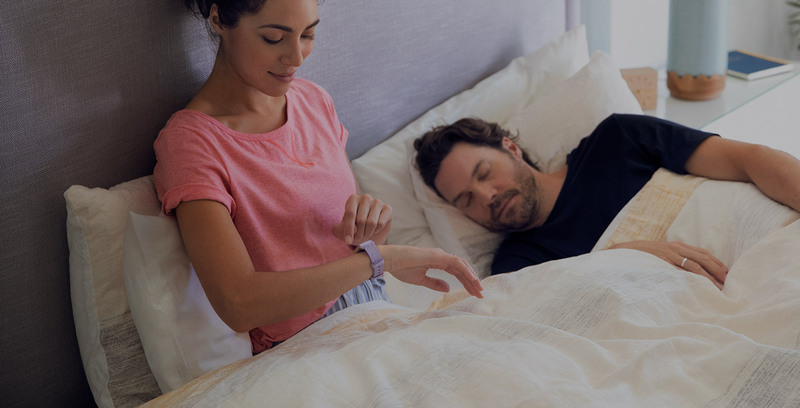 Sleep Tracking And Stages - Know how long you’re in Light, Deep and REM sleep stages, get nightly insights and learn how to get better sleep. Swimproof - Charge 3 is water-resistant to 50 metres, automatically tracks your swims and can be worn in the pool or shower. Fitbit Today - Use the daily on-screen dashboard to check your health and activity stats and get the nudge you need to reach your goals. Apps - Access smart experiences like calender and weather in a tap – right from your wrist. Calendar app coming soon. Notifications - Stay connected on the move with call and calendar alerts, text notifications and quick replies, plus get updates from everyday apps. Available on select devices, when your phone is nearby. Quick replies for Android only. 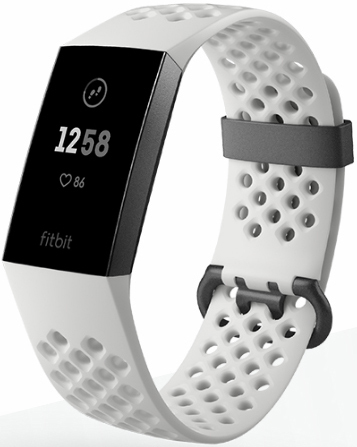 Real-time Pace and Distance - Connect Charge 3 with your phone's GPS to see pace and distance during outdoor runs and rides and use your stats to keep improving. 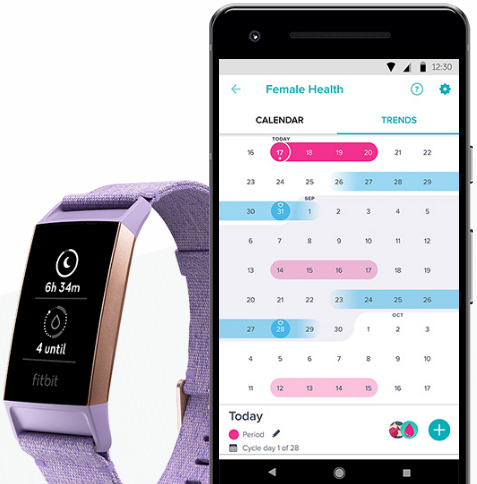 Female Health - Use Charge 3 with the Fitbit app to track periods, record symptoms, see a predicted ovulation calendar and more. Fitbit Pay - Add your cards to the Fitbit app to make easy, secure contactless payments from your tracker. Accessories and Clock Faces - Make Charge 3 yours by choosing from a variety of interchangeable bands and unique clock faces that fit your style. 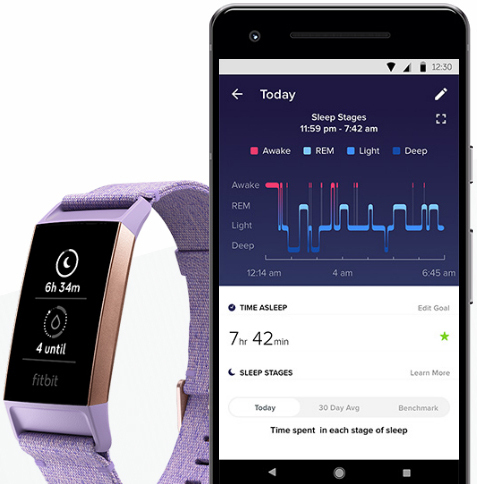 App Dashboard - Set goals, track progress and get a more complete picture of your health and fitness – all on your dashboard in the Fitbit mobile app. Wireless Sync - Automatically syncs to computers and more than 200 Android, iOS and Windows devices. Windows compatibility coming soon. 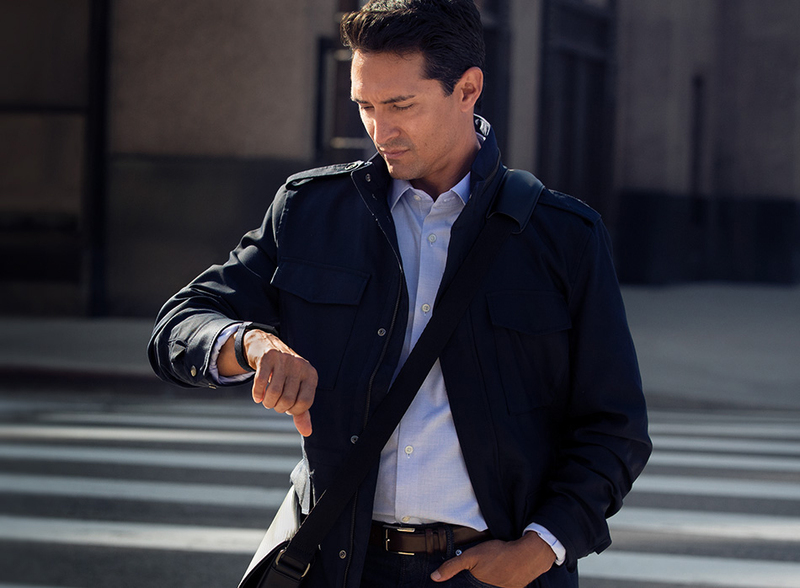 Durable, Lightweight Design - With aerospace-grade aluminium, a smooth-flush case and Corning® Gorilla® Glass 3, Charge 3 is comfortable and durable. Smart, Sharp Touchscreen - A large, back-lit display that automatically adjusts to lighting conditions makes it easier to see stats and notifications all day. Guided Breathing Sessions - Find moments of calm throughout your day with personalised guided breathing sessions based on your heart rate. 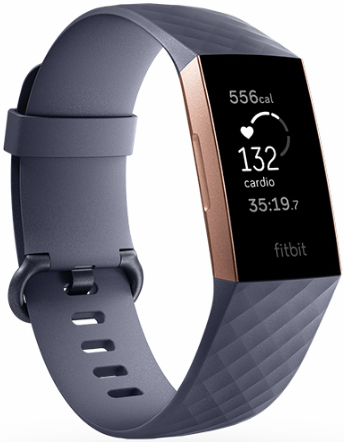 Fitbit Charge 3 is water resistant to 50 metres. After swimming or getting the band wet, we recommend drying the band because, as with any wearable device, it's best for your skin if the band is clean and dry. 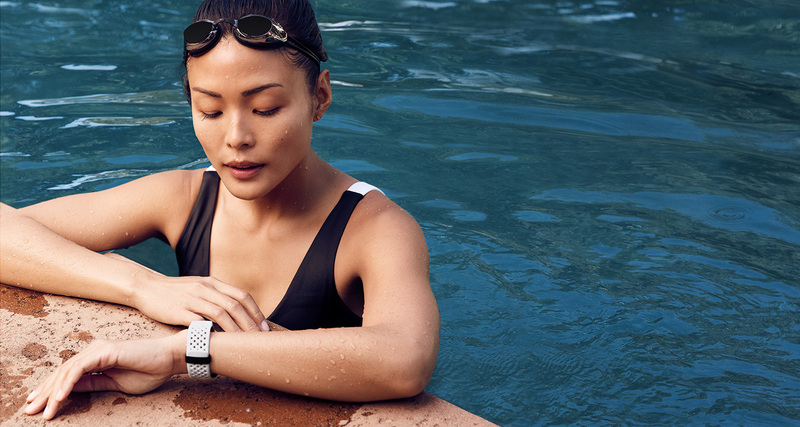 We do not recommend wearing Charge 3 in a hot tub or sauna. Syncs with iOS 9 and later, Android 5.0 and later and Windows 10 devices. Windows coming soon.